Dan Flores made his first mark on Atlanta around 1995, when a friend suggested he show his art portfolio to a tattoo shop owner and see about getting a job. After serving in the U.S. Marines for four years, Dan had been dishwashing and driving a forklift, but had never inked a tattoo in his life. He had, however, been putting pen to paper and making art since as long as he could remember. He sketched a sample logo for the shop owner, got his first tattoo, and landed a job as an apprentice. Fast forward to today and Dan has a thriving career as a painter, illustrator, and graphic designer, producing everything from large-scale paintings to comic books and graphic novels. He’ll still ink the occasional tattoo for friends, but chooses now to focus solely on the art that he personally wants to create. 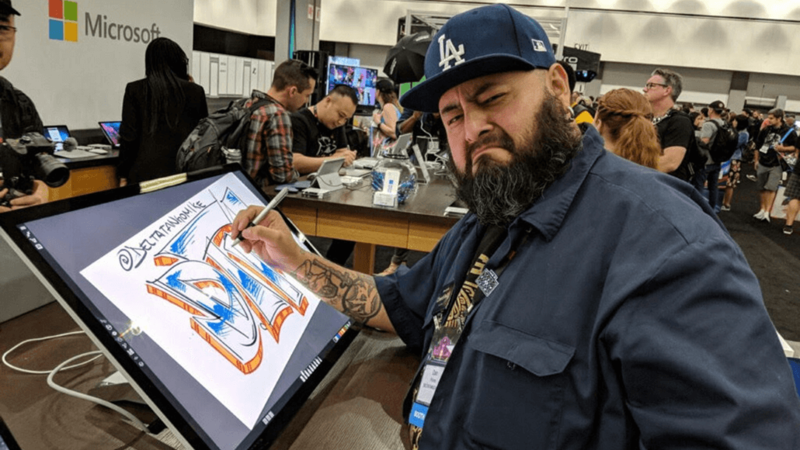 Equipped wherever he goes with his Surface Pro and Surface Pen, Dan sees technology as playing an important role in his success—both with creating digital art and keeping the business side of things smoothly humming. For many artists, he’s reached the equivalent of the Holy Grail: he’s a working artist passionate about his practice. A Windows Insider, Dan recently won the Insiders In Action: Giving Back Contest for his dedication to making a difference. Art is King hosts free meetups and a 6-month program covering a range of practical topics, including soft skills, business skills, and how artists can leverage technology to boost their careers. Dan emphasizes that having a digital portfolio—even something as simple as an Instagram account—is a basic must for promoting and archiving work. Other tech tools like OneNote and OneDrive are essential for staying organized and capturing and processing ideas on the go. 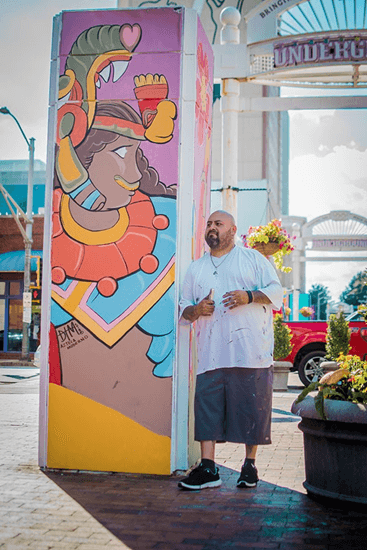 Continuing his mission of “boosting a robust, successful, and thriving arts community,” Dan recently led the creation of the Azteca Moderno mural, a collaborative art installation that serves as part of a revitalization initiative for downtown Atlanta. Editor’s Note: Daniel “DTM” Flores was the winner of the Windows Insiders In Action: Giving Back contest. 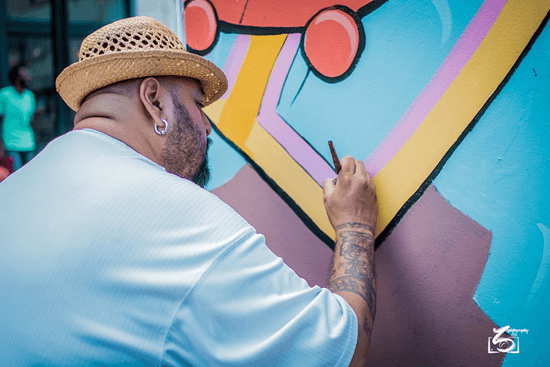 He is a Mexican-American (Chicano) working artist with a 20-year career in digital and traditional arts and a founding member of the non-profit organization Art Is King. You might also recognize Dan from an episode of The Walking Dead on AMC and other movies and TV shows where he’s been featured as, in his words, “a mean looking dude.” Connect with him at @DeltaTangoMike on Instagram or check out the YouTube channel of Art is King, for more on boosting the business side of art. Check out this time-lapse video set to music of Daniel creating art.